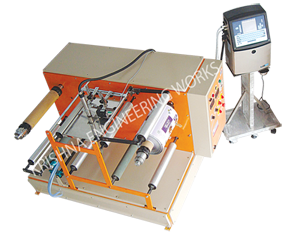 High Quality Winding Rewinding Machine for Offline Batch Coding of Mfg. Date, Expiry Date, Batch No., Sr.No and many more. It allows to apply on paper, film, and foil conversing industries and more with sophisticated process and hi-technology. Featuring with Torque control, tension controller, powder brake, printing System with Hot air ink drying and many more. 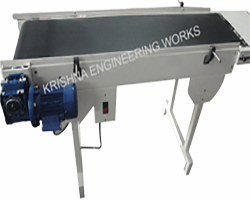 Offline Coding has been manufacturing Batch Coding on Conveyor with Variable Speed from India. Conveyor on desired need for Industry Specific requirements. Different types of Conveyors per client's requirement. 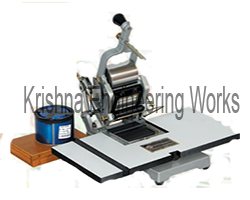 Our premium quality thermal transfer overprinter can print from speeds of 50mm per second to 1,400mm per second. Featuring with simple software also, allows for easy maintenance, reduced changeovers and maximized production time and many more with Intermittent and Continuous in one machine. 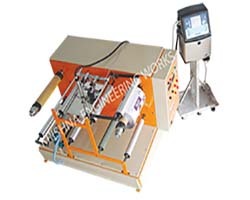 Company having more than 25 Years of Experience in the Field of Manufacturer, Batch Coding Machine Manufacturer. Also, Winding Rewinding Machine, Conveyor, Thermal Transfer Printer, Inkjet Printer, for Batch Coding, Batch Coding, High-quality Offline Batch Coding Machine Equipment. All types of Heavy Duty Offline Batch Printing Machine Equipment. Also, dealing in Doctoring Rewinding, Industrial Roller, Batch Coding, Printing Machine and many more extraordinary machines. 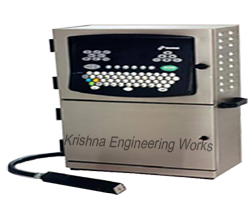 Batch Coding, batch coding machine, batch coding inkjet printer, batch coding machines suppliers, manufacturer, batch coding machine for pouch, batch coding machine domino, and much more. Offline Batch Coding Process starts with the coding of text matters like Lot no, Batch No, Mfg. Date, Exp. Date, Price etc… on individual OR roll form of paper, the film before packing OR packaging process. We are superior quality of of batch coding machine manufacturer, batch printing machine manufacturer, batch no printing machine, inkjet batch coding machine, date code printer, expiry date printing machine, date printing machine, inkjet coding machine, batch code printer, batch code printing machine, coding machine, date coding machine manufacturer, exporter and supplier to all over the world. Batch Printing for different types of Industries, Offline Batch Printing Machine with different types of machines like Winding Rewinding Machine, Industrial Inkjet Printer, Conveyor, Thermal Transfer Printer. 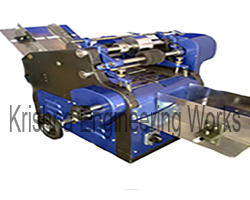 Batch Printing per client’s requirement in Roll form.High-Quality Machine for Roll to Roll Process with accuracy. 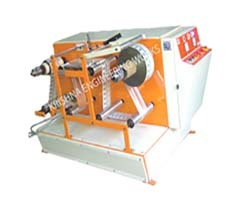 Our range of Roll To Roll Film Winding Rewinding Machine For Batch Printing is capable to process all types of Laminates like Film, Paper, Aluminium, Foil, PVC, Plastic, LD, LDPE, PP, BOPP, Cloth, Biscuit Wrapper, Oil Wrapper, Soap Wrapper, Detergent Wrappers, etc… High Speed Batch Coding Machine Coding on Film Roll, Paper Roll. Offline Batch coding for B.No. Mfg.Dt., Exp.Dt., M.R.P. Rs., Ingredients, Logos, etc. on various types of labels, shrink sleeves, pouches, laminates, etc. in Roll form. 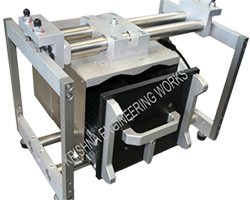 Winding Rewinding Machine for Batch coding with Low-cost machine with very low operating.